I'm only human. Of flesh and blood, I'm made. Yeah, a lot of cliches swirl around the idea of being human. To err is human, etc. Those are the thoughts I cling to when I consider what happened on Friday evening, when I attempted the impossible. As a second-year teacher in a high school, I am learning a lot about what it takes to succeed, and one critical lesson is how to finesse something called "Friday Happy Hour." 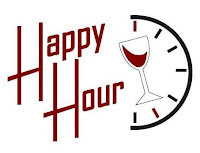 Last year, I realized that "Friday Happy Hour" can be problematic because, many times, teachers will hit the Happy Hour shortly after the 3 p.m. bell. Man, that's early. On this past Friday, something in me told me to stay out past Happy Hour with a friend, continue having cocktails and look for ladies known as "cougars." Later, I was told I actually was looking for younger ladies referred to as "bobcats." Regardless, I attempted to consume cocktails from 4 p.m. to midnight. That was a recipe for disaster, for I am only human. 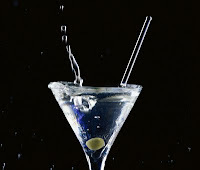 Another major mistake was switching from beers to martinis at 8 p.m.; that was ridiculous. Somewhere amid all of this, I also text messaged approximately 20 friends and told them to come to my home the next day to watch pay-per-view Ultimate Fighting, which is extremely violent, and play poker, presumably no limit Texas hold 'em. By the time my friend had three lovely ladies meet us in the evening, my vision and speech were blurred. I wanted to sleep and was incoherent. Luckily, the friend was capable of driving me home, and I thank him for that. You live and learn. I believe it is impossible to go out for a teacher's Happy Hour and then stay out all night. OK...you can't just tell that tale and then NOT tell us what occurred the next day vis a vis watching the Ultimate Fighting & the playing of the Poker. While I readily admit that I am a mediocre poker player and have zero knowledge of the finer points of the UFC, what I do know unequivocally is that both those activities are generally accompanied by copious quantities of alcohol. P.S. And -15 cool points for inflicting "Human League" on me--I grew up in the 80s so I, of course, know all the words. That's almost as cruel as subjecting oneself to 8 straight hours of simultaneous drinking & fieldwork in the study of cougarography...but I digress.. I was one of the 20 lucky few to get an invitation!!! Love you man!